This is a complete listing of current and past posts. The Out2Lunch webinar series from ESIP Education provides 10-minute GoToMeeting demonstrations of Earth science data tools & resources for educators teaching grades 6 to 14. A five minute Q&A session takes place after the demonstration. Participate in "GEODE plate tectonics visualization tools" Wednesday, April 3, 2019 at 1 PM ET. https://global.gotomeeting.com/join/984414941. You can also dial in using your phone. United States: +1 (646) 749-3131. Access Code: 984-414-941. The webinars are recorded and posted for those who might be teaching at that time. Book Club: NOAA Planet Stewards-Junk Raft. Learn about the CLEAN Get Started Guide and its downloadable unit planning tools including three ready-to-use unit exemplars. The step-by-step planning guide incorporates the CLEAN collection of climate and energy resources and the NGSS three-dimensional instructional model. Presenter: Jennifer Taylor, Curriculum Development & Project Coordinator CIRES Education Outreach. Register here..
Webinar: GLOBE: Mosquito Season is Coming! The Out2Lunch webinar series from ESIP Education provides 10-minute GoToMeeting demonstrations of Earth science data tools & resources for educators teaching grades 6 to 14. A five minute Q&A session takes place after the demonstration. Participate in "SuAVE (Survey Analysis via Visual Exploration) " Wednesday, March 13, 2019 at 1 PM ET. https://global.gotomeeting.com/join/984414941. You can also dial in using your phone. United States: +1 (646) 749-3131. Access Code: 984-414-941. The webinars are recorded and posted for those who might be teaching at that time. Presentation: Thinking Scientifically in a Changing World. Volcanoes & GeoSTEM-Perfect Together: International Professional Development Opportunity. Costa Rica sits astride a jagged series of volcanoes and mountains, part of the great Andes-Sierra Madre chain, which runs the length of the western littoral of the Americas. Join NESTA for this special discovery of a multitude of volcanic formations, ranging from major stratovolcanoes to hydrothermal vents and fumaroles. Explore the treasures of Costa Rica's geologically rich terrain, combined with its diverse tropical ecosystems, on this comprehensive journey. 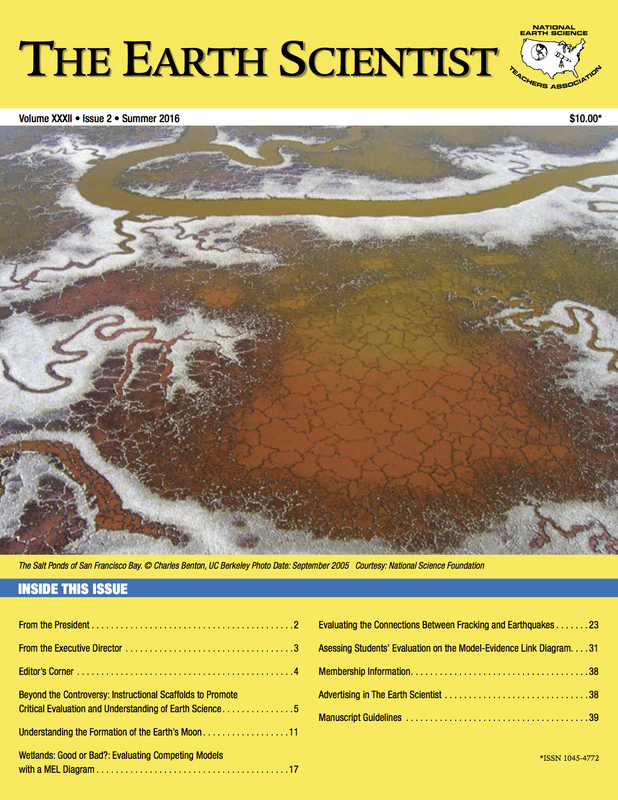 Earth Science All Around: Using 360 Imagery to Support Placed-Based Instruction. 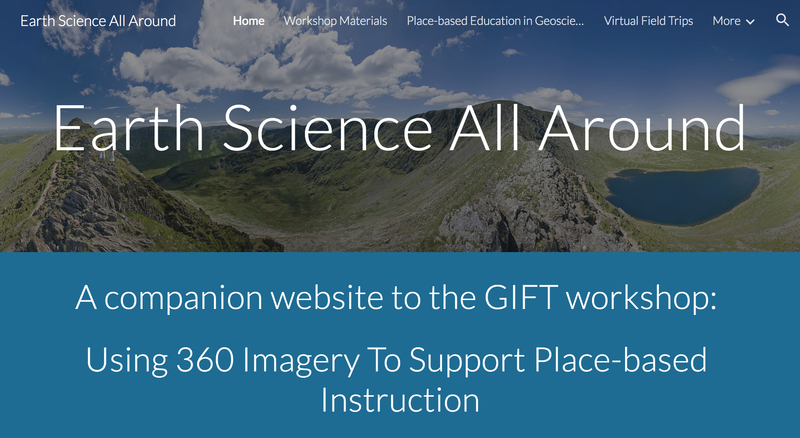 This companion website to a GIFT workshop at AGU in December is your introduction to place-based instruction in the geosciences. Explore a specific geoscience-related topic—watersheds—through scientifically-based online modeling and through a hands-on experience with 360 cameras. Check out the website! Webinar: NOAA Planet Stewards-Exploring Ocean Frontiers. NOAA Planet Stewards is pleased to welcome Heather Coleman, coordinator of NOAA's Deep Sea Coral Research & Technology Program; Eva Barnett, Outreach Manager for Green Fire Productions; and curriculum developers Jennifer Buffett and Sarah Lockman as our featured speakers this month. This presentation covers recent advances in the science and protection of deep-sea corals, and introduces newly released lessons and activities that build understanding of these hidden ecosystems and other crucial ocean topics. Take a guided tour of the CLEAN portal. 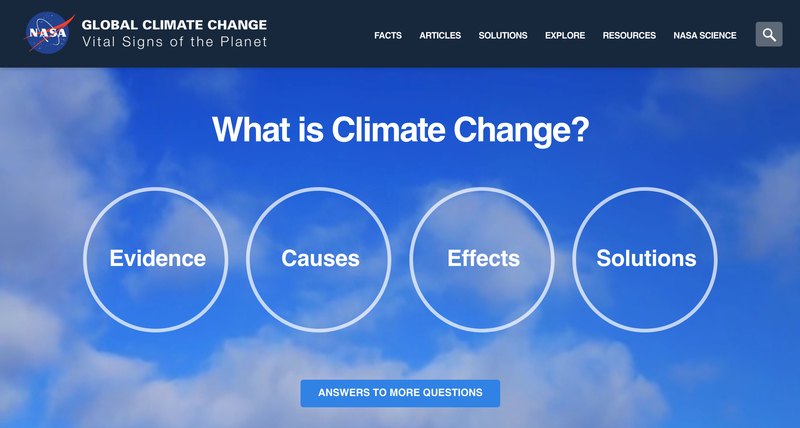 Learn about the CLEAN collection of almost 700 climate and energy educational resources and the range of other supporting materials to help you effectively and accurately teach about climate and energy topics. Presenter: Katie Boyd, CLEAN Program Manager. Register here.. Presentation: A Secondary NGSS Weather Unit: Emphasizing high-leverage science and literacy practices within the 3-dimensional learning context. 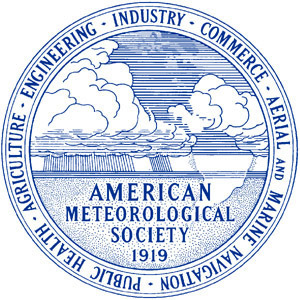 The American Geosciences Institute is now accepting applications for the Edward C. Roy, Jr Award. This award is given annually to an elementary or middle school teacher who has demonstrated his or her ability to teach exemplary Earth science lessons. The award is given in honor of Dr. Edward C. Roy, Jr., a longtime champion of Earth science education. Learn more and apply here. Submit your application by January 18, 2019. Register Today for the NOAA Planet Stewards January Webinar-Exploring Ocean Frontiers. Implementing NGSS in Earth Science Webinar. Presentation: A Teacher's Perspective on the NGSS: All Standards for All Students, Earth Science Integration, and the Three Dimensions. 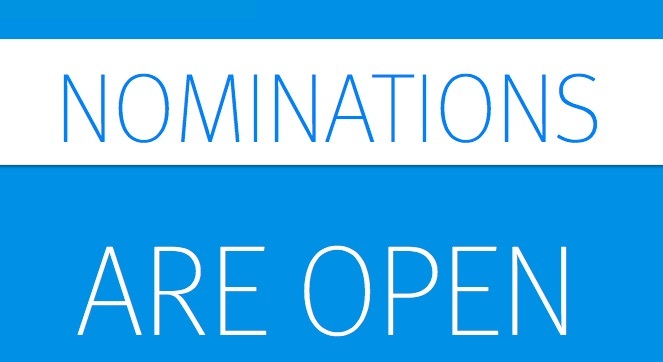 Nominate yourself for a NESTA leadership position. Would you or another NESTA colleague be willing to serve our organization in a leadership capacity? We are seeking members in good standing to be nominated for the following six positions: four Regional Directors and two Directors-at-Large. Read descriptions of the positions here. Please submit your nomination by December 31, 2018. 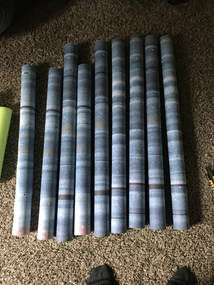 Create model ice Cores using pool noodles!!. Check out this activity and other resources from the EER workshop, Changing the Climate of Your Climate Change Lessons. 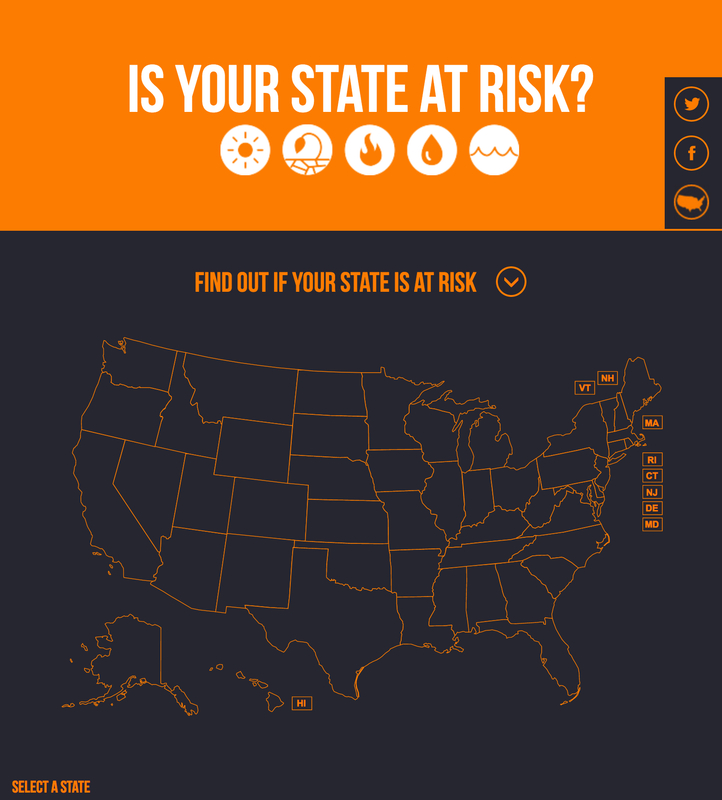 States at Risk is a project of Climate Central aimed at showing how Americans in all 50 states are experiencing the impacts of climate change. Their work focuses on five threats — extreme heat, drought, wildfires, coastal flooding and inland flooding — and the states most affected by these threats. 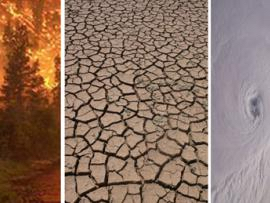 Browse through the resources at GLOBAL CLIMATE CHANGE: Vital Signs of the Planet. It mission is to provide the public with accurate and timely news and information about Earth's changing climate, along with current data and visualizations, presented from the unique perspective of NASA, one of the world's leading climate research agencies. See Earth through the Astronauts' Lens using the Windows on Earth collection from TERC! 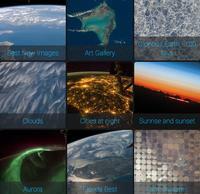 Astronauts on the International Space Station (ISS) have taken over 2 million photos of Earth. These photos are dramatic, beautiful, engaging and informative, helping us all understand and appreciate Earth. They include scientific phenomena, such as erupting volcanoes, powerful hurricanes, river erosion, and agriculture patterns around the globe. Explore our Earth from a whole new perspective. Happy Earth Science Week! Check out our resources for the week. This year's theme is "Earth as Inspiration". On Saturday, October 20, 2018 join the NESTA community to celebrate the end of Earth Science Week. Learn what NESTA has done this past year and find out how you can become involved with NESTA! You do not need to be a NESTA member to attend. The meeting will start at 4 PM Eastern. Times are given below for all U.S. time zones. Time: 4 pm EDT, 3 pm CDT, 2 pm MDT, 1 pm PDT, 12 pm AKDT, 10 am HST. We look forward to celebrating and meeting with you! Join us at the NSTA Area Conference in Reno, Nevada, October 11 - 13, 2018. Present at a NESTA Share-a-Thon this fall! Our NESTA Share-A-Thons at NSTA Area Conferences provide you with the opportunity to reach out to large audiences of K-12 science teachers. During the Share-a-Thon, teachers move around the room from table to table. You will have about 5 to 10 minutes with teachers. Your name can be included in the online program and if you are a classroom teacher, we can provide a letter recognizing your presentation. Present at the NESTA Share-a-Thon at the NSTA 2018 National Harbor Area Conference on Friday, November 16, 2018. Present at the NESTA Share-a-Thon at the NSTA 2018 Charlotte Area Conference on Friday, November 30, 2018. In case you missed the NOAA-NESTA webinar, Raising the Bar...the Oyster Bar! Engaging Students with NOAA's Three-Dimensional Oyster Learning Sequence, you can watch the video from the presentation now. Earn one contact hour of professional development by contributing to an online discussion about the presentation by end of day on Saturday, September 29, 2018. Watch the video and join the online discussion! In case you missed the NOAA-NESTA webinar, Get Cirrus about the Weather! Teaching Students about Extreme Weather and Preparedness, you can watch the video from the presentation now. Earn one contact hour of professional development by contributing to an online discussion about the presentation by end of day on Friday, September 28, 2018. Watch the video and join the online discussion! 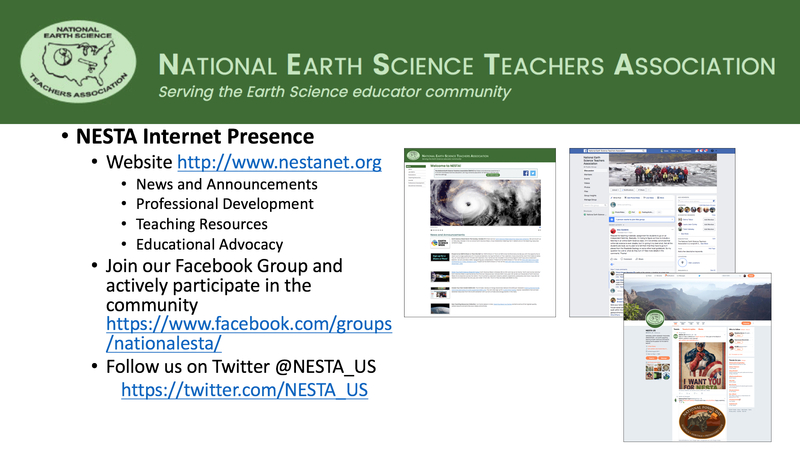 In case you missed the NOAA-NESTA webinar, Simulations and Models for Teaching Earth System Science, you can watch the video from the presentation now. Earn one contact hour of professional development by contributing to an online discussion about the presentation by end of day on Thursday, September 27, 2018. Watch the video and join the online discussion! In case you missed the NOAA-NESTA webinar, Students in the Lead: Game Design for Learning Earth Science, you can watch the video from the presentation now. Earn one contact hour of professional development by contributing to an online discussion about the presentation by end of day on Wednesday, September 26, 2018. Watch the video and join the online discussion! 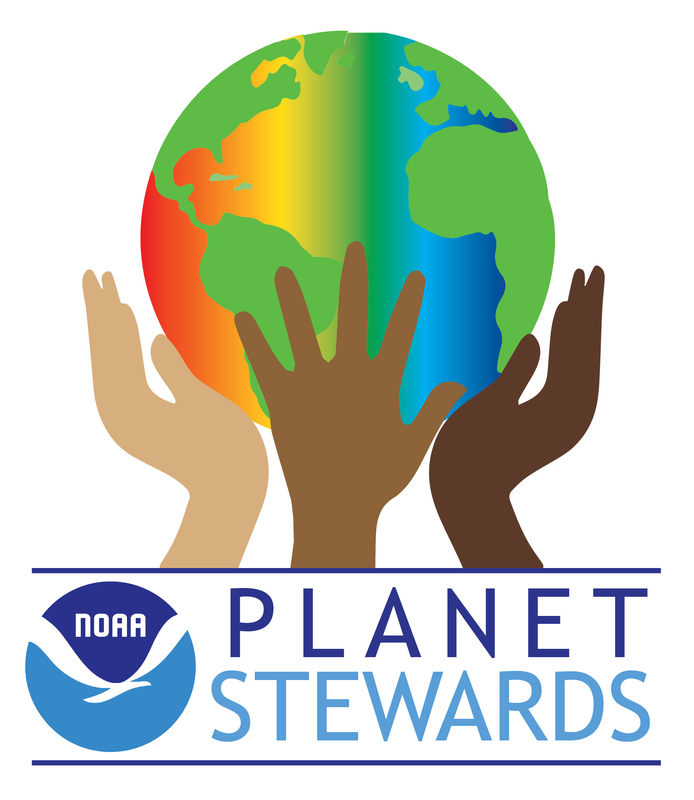 Register today for one of the NOAA Planet Stewards-NESTA special four-part Elementary School Level Earth Science Webinars. There are still spaces available to attend. Register today! You MUST register for a webinar to obtain a link to the broadcast archive video. All Webinars will begin promptly at 3:30 pm Eastern Time and will be recorded for later viewing. Mon, Sept 24 – Students in the Lead: Game Design for Learning Earth Science Reserve Your Seat Here. Tues, Sept 25 – Simulations and Models for Teaching Earth System Science Reserve Your Seat Here. Wed, Sept 26 – Get "Cirrus" about the Weather! Teaching Students about Extreme Weather and Preparedness Reserve Your Seat Here. Thu, Sept 27 – Raising the Bar ...the Oyster Bar! Engaging Students with NOAA's Three Dimensional Oyster Learning Sequence Reserve Your Seat Here. Apply here to present at the AGU-NESTA Fall 2018 GIFT Workshop. The deadline to apply is August 31, 2018. 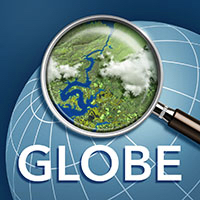 Use the GLOBE Observer app, to join the GLOBE community and contribute important scientific data to NASA and GLOBE, your local community, and students and scientists worldwide. 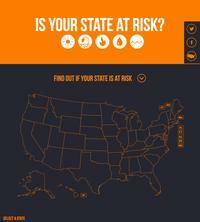 Check out the new Mosquito Habitat Mapper within the app. 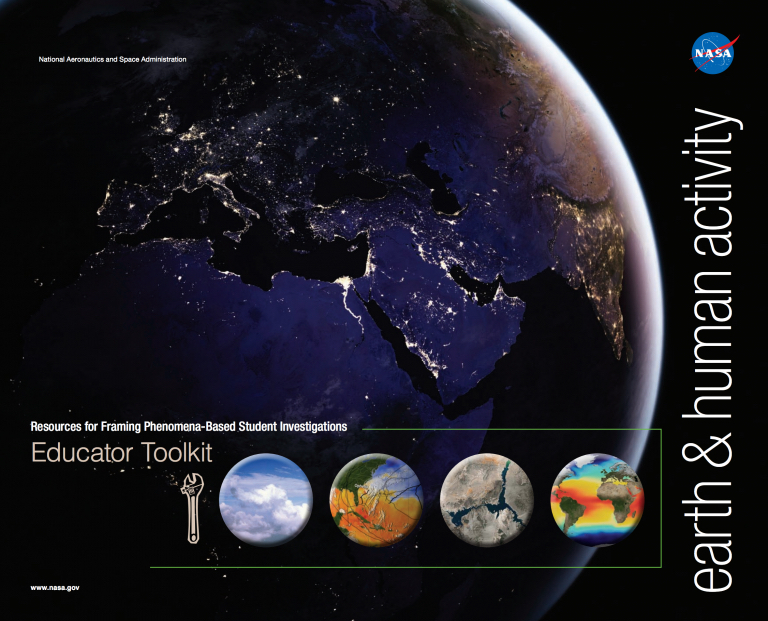 Check out the Educator Toolkit: Framing Phenomena-Based Student Investigations compiled by the NASA Earth Science Education Collaborative (NESEC) for information on how you can bring NASA data into your classroom. Create Your Own CLEAN-NGSS Unit. 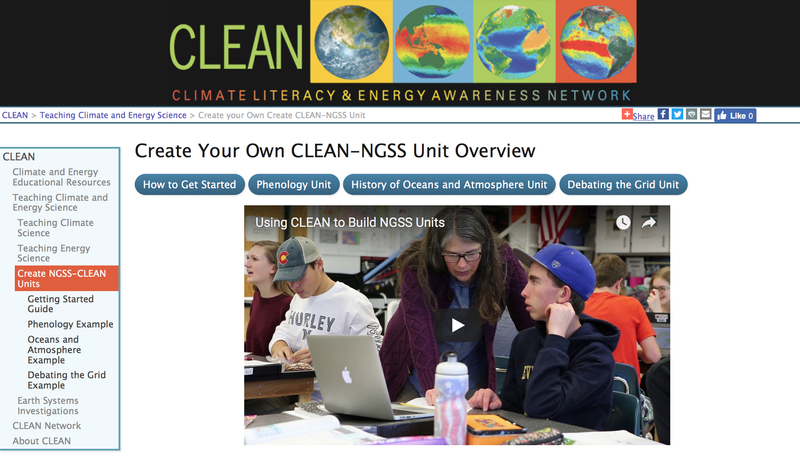 The Climate Literacy & Energy Awareness Network (CLEAN) just released a Getting Started Guide and three examples of CLEAN-supported NGSS units. You can also sign up for CLEAN STEM Flashes, topical newsletters that connect selected resources from the CLEAN collection with current climate and energy events in the news. Implementing NGSS in Earth Science Webinar. When: Thursday, April 12, 2018, 1:00 PM Pacific | 2:00 PM Mountain | 3:00 PM Central | 4:00 PM EasternPresentations: Explore plate tectonics through GPS data & Argumentation and modeling in Earth Science. The Out2Lunch webinar series from ESIP Education provides 10-minute GoToMeeting demonstrations of Earth science data tools & resources for educators teaching grades 6 to 14. A five minute Q&A session takes place after the demonstration. Participate in "Story Maps" Wednesday, April 11, 2018 at 1 PM EDT. https://global.gotomeeting.com/join/984414941. You can also dial in using your phone. United States: +1 (646) 749-3131. Access Code: 984-414-941. The webinars are recorded and posted for those who might be teaching at that time. Intro to CLEAN Webinar. Take your teaching about climate and energy to the next level with the CLEAN Webinar Series designed to provide educators with resources and tools to incorporate Climate and Energy concepts in their classrooms through data-based activities. The next webinar is Tuesday, April 10, 2018, 6:30 to 7:00 PM EDT. Register and learn more about each of the webinars in the series. 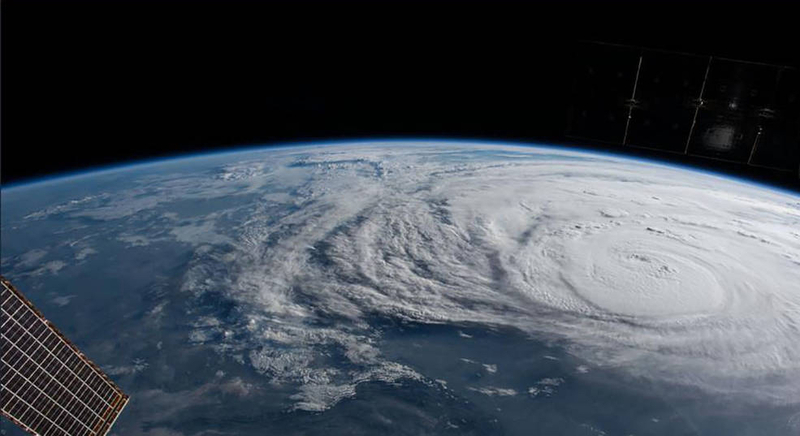 Register Today for the NOAA Planet Stewards April Webinar - Meteorological Memories: The Hazardous Weather of 2017 and How to Prepare for the Future! NOAA Planet Stewards is pleased to welcome Greg Carbin, Chief of Forecast Operations at NOAA's Weather Prediction Center as our featured speaker this month. When: Monday, April 9, 2018 at 7:30 PM EDT. Space is Limited! : Reserve Your Seat Here. 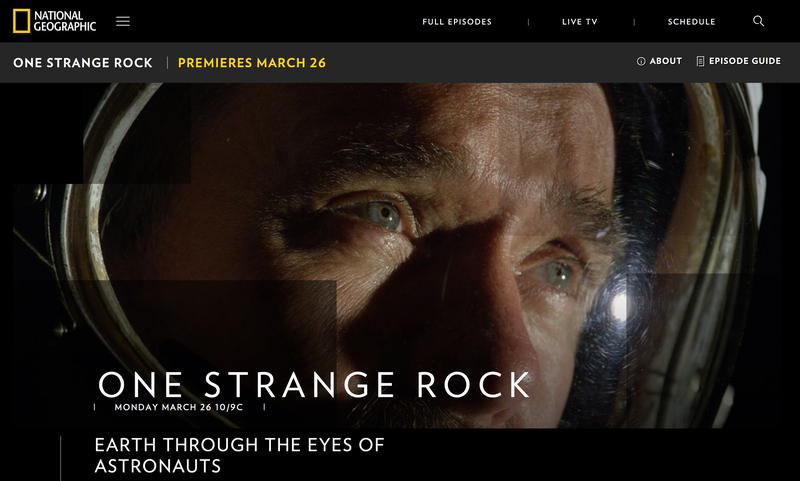 Watch National Geograhic's new docu-series ONE STRANGE ROCK, premiering on Monday, March 26 at 10/9C! This Earth science series is narrated by actor Will Smith and features perspectives from eight astronauts on the wonders of Earth as seen from space. Check out the free educator resources including a currinculum guide. 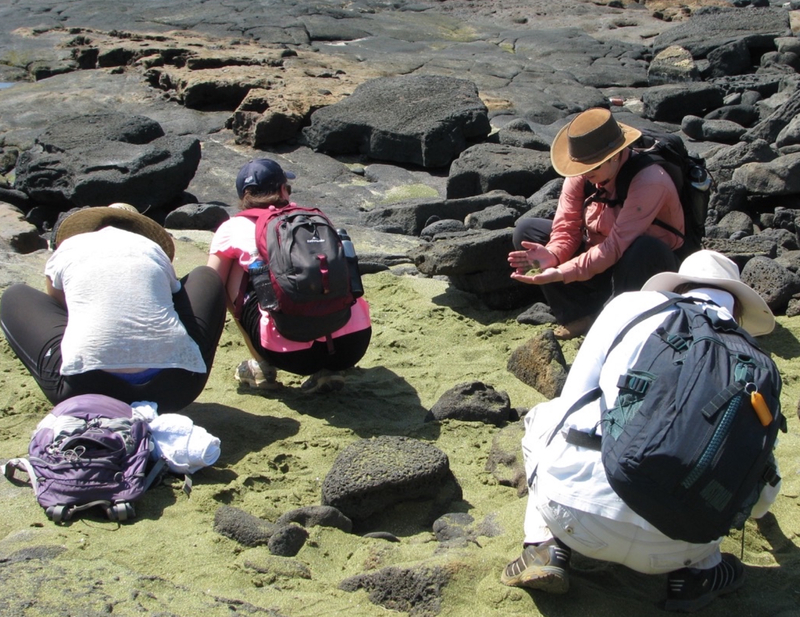 Join teachers of all grades to live and learn on Earth's most active volcano in Kilauea, Hawaii – July 2018. Plate tectonics, hotspots, volcanic processes, mapping, data collection, modern coral reefs and more. NESTA members receive a discount. Join us at the NSTA National Conference in Atlanta, Georgia March 15-18, 2018. Present at one of the NESTA Share-a-Thons during the NSTA National Conference in Atlanta March 15-18, 2018. 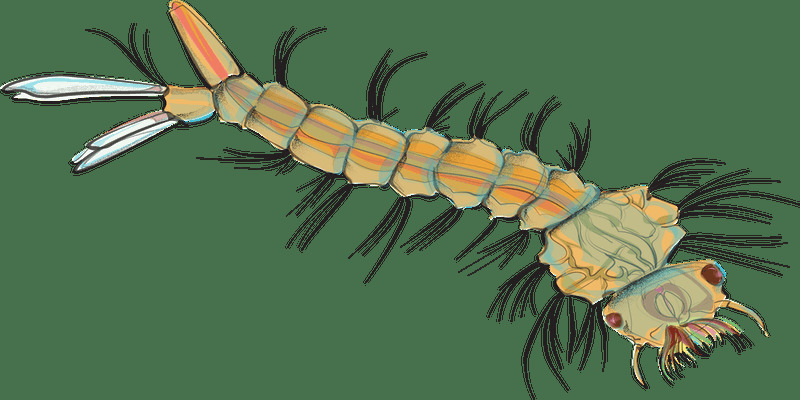 Do you have a classroom activity, teaching resource, digital dataset, or application that you would like to share with other science teachers? During the Share-a-Thon, teachers move around the room from table to table, spending about 5 to 10 minutes with presenters. Your name can be included in the online program and if you are a classroom teacher, we can provide a letter recognizing your presentation. It's election time! NESTA is electing President-Elect, Secretary, Treasurer, and TWO Directors-at-Large. Regional Directors for Regions I,III,V,and VII are also being selected. Check your inbox for your personal ballot and vote TODAY! The election closes Monday, January 29, 2018 so don't delay! Make your vote count and be part of NESTA's exciting future! ***NESTA Election 2018 Special Alert*** NESTA is about to hold its annual election for officers. All members will be selecting a President-Elect, Secretary, Treasurer, and TWO Directors at Large. In addition, members in Regions I, III, V, and VII will be selecting their Regional Directors. 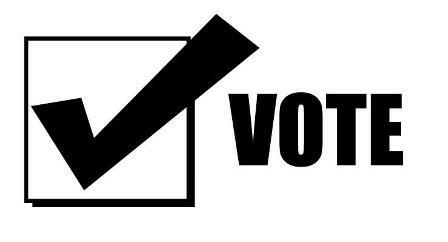 To vote in the upcoming election make sure your NESTA membership is current prior to January 15. If you are not yet a NESTA member, consider joining and becoming more involved. Renew or join NESTA today! The Out2Lunch webinar series from ESIP Education provides 10-minute GoToMeeting demonstrations of Earth science data tools & resources for educators teaching grades 6 to 14. A five minute Q&A session takes place after the demonstration. Participate in "When it rains, it pours" November 1, 2017 at 1 PM ET. Join the GoToMeeting. You can also dial in using your phone. United States: +1 (646) 749-3131. Access Code: 984-414-941. The webinars are recorded and posted for those who might be teaching at that time. Last few spots open for this evening's Science Friday Webinot at 7 PM Eastern Let's talk rocks! Rock inquiry 101! Register NOW! In case you missed it or just need a refresher of what you saw, check out the resources from the Share-a-Thon at the Baltimore NSTA Areas Conference on Friday, October 6, 2017. If you missed our Fall 2017 NESTA Annual Meeting, then check out the recording and presentation slides. It was held Saturday, October 14. Nominate yourself for a NESTA leadership position. Would you or another NESTA colleague be willing to serve our organization in a leadership capacity? We are seeking members in good standing to be nominated for the following ten positions: President-Elect, Secretary, Treasurer, four Regional Directors, two Directors-at-Large, and one Board Member Representative to the Executive Committee. Read descriptions of the positions here. Please submit your nomination by December 15, 2017. Earth Science Week Starts This Sunday, October 8! Check out our Earth Science Week teaching resources collection. Be sure to join us on Saturday, October 14 for an end of Earth Science Week, virtual Celebration Meeting! Call in details are on the teaching resources collection page. Present at a NESTA Share-a-Thon this fall! Our NESTA Share-A-Thons at NSTA Area Conferences provide you with the opportunity to reach out to large audiences of K-12 science teachers. During the Share-a-Thon, teachers move around the room from table to table. You will have about 5 to 10 minutes with teachers. Your name can be included in the online program and if you are a classroom teacher, we can provide a letter recognizing your presentation. Present at the NESTA Share-a-Thon at the NSTA 2017 Baltimore Area Conference on Friday, October 6, 2017. Present at the NESTA Share-a-Thon at the NSTA 2017 New Orleans Area Conference on Friday, December 1, 2017. Order Your Earth Science Week Kit Today! 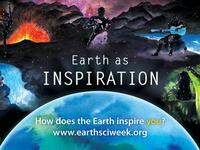 Earth Science Week is October 8th to 14th and has as its theme, "Earth and Human Activity." Earth Science Week is sponsored by the American Geosciences Institute (AGI). Every year AGI sends out thousands of Earth Science Week kits to teachers across the nation. The kit contains, classroom lessons, posters, bookmarks, postcards, and more. If you did not receive a kit and would like one, you can order it from AGI. The kit is free, but does cost $8.50 to ship. New Teaching Resources Collection. Hurricane season is here. Teaching About Hurricanes contains some of the highest quality, vetted lessons and activities plus videos and articles. All Things Eclipse Webinar, August 18, 2017, 3 PM EDT. 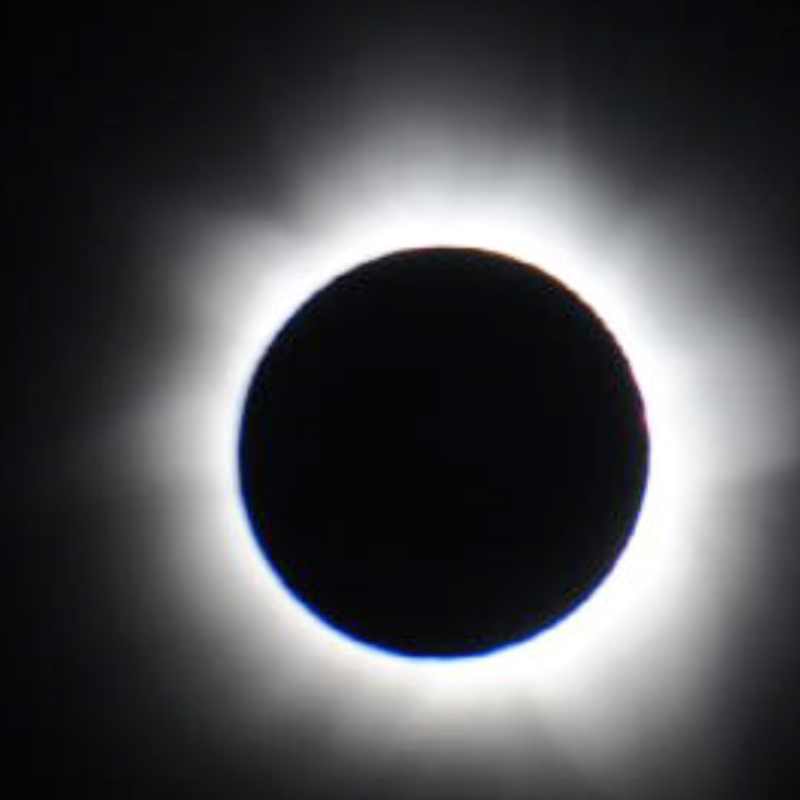 Live from the path of totality, Charles Fulco discussed how an eclipse occurs, how to safely view the eclipse (no glasses, no problem), and shared classroom resources that you can use with your students. If you missed it, watch the archived webinar and explore the classroom resources. Total Eclipse of the Sun. On Monday, August 21, 2017, all of North America will be treated to an eclipse of the sun. A list of classroom resources has been compiled to assist you as you bring the "Eclipse 2017" alive for your students. Present at our NESTA Share-a-Thon in Baltimore, Maryland! NESTA, together with NOAA and IRIS will be offering a number of workshops and presentations at NSTA's Baltimore, Area Conference October 5-7, 2017. In particular, our Share-A-Thons provide you with the opportunity to reach out to large audiences of K-12 science teachers. Exciting Iceland Field Trip! Twenty Earth Science educators and enthusiasts recently joined Missy Holzer (Appointed Director) and Cheryl Manning (President) on a tour of some of the best volcanoes, glaciers, hotspots, divergent plate tectonics, and geothermal energy generation on our planet. NESTA joined with Holbrook Travel to bring this experience to our members and friends. Check out this photo log of our trip! 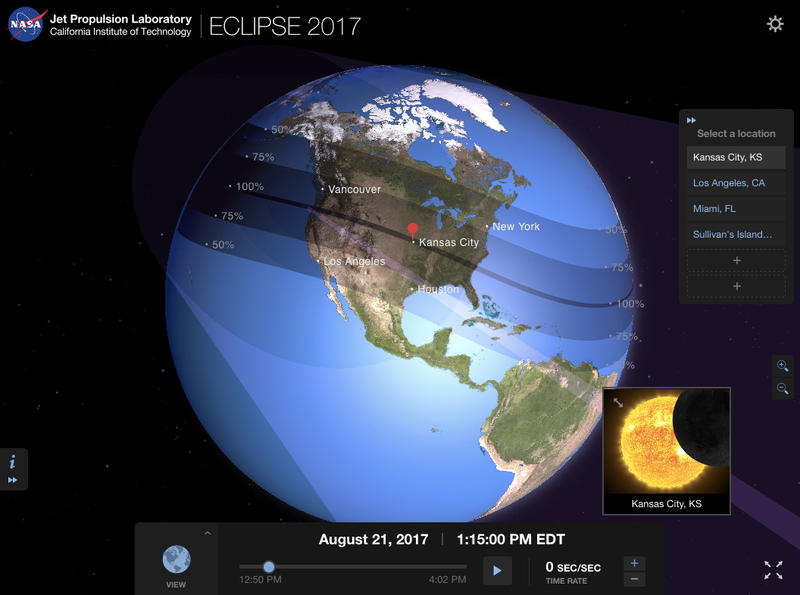 GLOBE Observer Eclipse App! Download this app for smart phones and tablets, register an account, and get your thermometer ready to collect citizen science data for NASA during the eclipse. Start practicing your cloud observations now – air temperature data collection will become active on August 18! Observations are needed from across North America-from the path of totality and those experiencing a partial eclipse. Let the Eclipse Begin a Pathway to Unlimited Learning! Monday, August 21, 2017, could quite possibly be your best science demonstration ever. 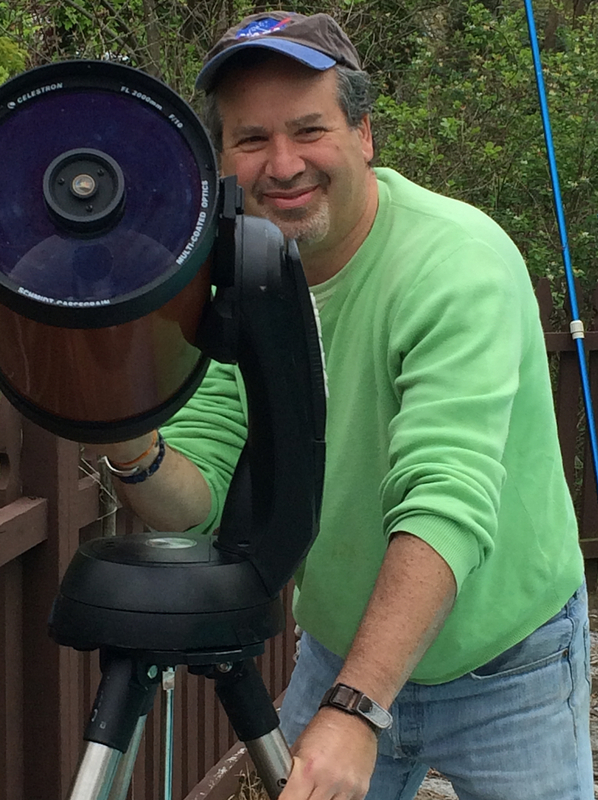 Just walk outside and immerse learners in one of the most extraordinary astronomy lessons possible. The parts will already be aligned, the time is already set...there will be a solar eclipse on glorious display! Check out these NASA educational resources for the eclipse and beyond. The U.S. Department of the Interior is considering abolishing or reducing 27 National Monuments designated or expanded since 1996 under the Antiquities Act of 1906. These monument designations currently protect lands such as the Upper Missouri River Breaks in Montana, the Berryessa Snow Mountain in California, and the Craters of the Moon in Idaho. NESTA is preparing a statement to support the education and outreach efforts of these National Monuments. We would like to hear your stories about how you have used National Monuments in your teaching. Please complete our brief survey. We will aggregate the results of your responses in our position statement. We also encourage you to submit your own comments here. Our NESTA President, Cheryl Manning, was interviewed by BuzzFeed. David Thesenga Part 2 and Carla McAuliffe Part 1 were interviewed by The Weather Channel. NESTA is in the processes of drafting a Climate Change Education Position Statement. If you would like to participate in this effort, please sign up here. 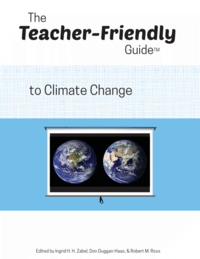 The Paleontological Research Institution has kicked off a crowdfunding campaign to send copies of the book, The Teacher-Friendly Guide to Climate Change™, to every high school and middle school in the country. Visit here to support the effort through GiveGab (a charity crowdfunding site). Scientists Agree on Climate Change: NESTA's Response to the Heartland Institute's Recent Mailing to Teachers. 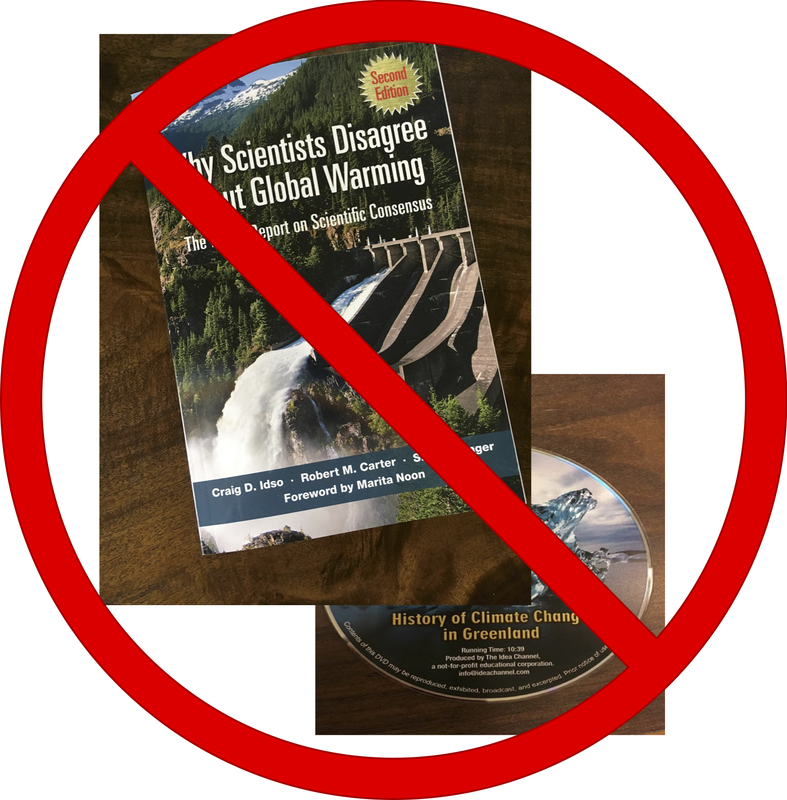 Over the last few months, tens of thousands of teachers around the country received an unsolicited package from the Heartland Institute that includes a booklet and a DVD. These materials are deceptive, appearing to be scientific, yet blatantly misrepresent scientific findings and data analyses. Read our response. The Teacher Friendly Guide to Climate Change from the Paleontological Research Institute focuses on scientific aspects of climate change: how climate works and why scientists think it's changing, and the science and engineering behind the steps that would mitigate climate change and enable humans to adapt to climate changes that do occur. EclipseMob is a crowdsourced effort to conduct the largest-ever low-frequency radio wave propagation experiment during the 2017 solar eclipse. You can build your own radio receiver and participate in the measurement! EclipseMob is offering another two webinars from 2-3PM ET and 3-4PM ET on Saturday, July 22, 2017. Learn more and register today! Join us in Iceland from July 6, 2017 to July 14, 2017! The land of fire and ice, Iceland is an Earth scientist's dream, abundant with majestic waterfalls, active volcanoes, expansive lakes, winding rivers, massive glaciers, and vast mountainous and uninhabited terrain. CEU's or graduate credits are available for this 9-day immersive experience sponsored by NESTA. The Out2Lunch webinar series from ESIP Education provides 10-minute GoToMeeting demonstrations of Earth science data tools & resources for educators teaching grades 6 to 14. A five minute Q&A session will take place after the demonstration. The fourth webinar is on April 19, 2017 at 1 PM ET. Join the GoToMeeting. You can also dial in using your phone. United States: +1 (646) 749-3131. Access Code: 984-414-941. The webinars will be recorded and posted for those who might be teaching at that time. Register now for the webinar, NGSS Climate Education with the CLEAN Collection. This webinar will highlight the ways in which climate and energy learning is included in NGSS, will describe the resources available through CLEAN, and will show attendees how to use CLEAN for their NGSS needs. It takes place on April 13, 2017 at 1:00 PM Pacific | 2:00 PM Mountain | 3:00 PM Central | 4:00 PM Eastern. The deadline to register is April 11, 2017. The Out2Lunch webinar series from ESIP Education provides 10-minute GoToMeeting demonstrations of Earth science data tools & resources for educators teaching grades 6 to 14. A five minute Q&A session will take place after the demonstration. The first webinar is on Wednesday, March 8, 2017 at 1 PM ET. Join the GoToMeeting. You can also dial in using your phone. United States: +1 (646) 749-3131. Access Code: 984-414-941. The webinars will be recorded and posted for those who might be teaching at that time. It's election time! NESTA is electing Regional Directors for Regions II, IV, VI, and VIII and 2 Directors-at-Large. Check your inbox for your personal ballot and vote TODAY! The election closes Monday, March 6, 2017 so don't delay! Make your vote count and be part of NESTA's exciting future! Join us at the NSTA National Conference on Science Education in Los Angeles, California, March 30 - April 2, 2017. Present at one of our NESTA Share-a-Thons in Los Angeles, CA! NESTA will be offering a number of workshops and presentations at NSTA's National Conference on Science Education in Los Angeles, California, March 30-April 2, 2017. In particular, our Share-A-Thons provide you with the opportunity to reach out to large audiences of K-12 science teachers. EclipseMob is a crowdsourced effort to conduct the largest-ever low-frequency radio wave propagation experiment during the 2017 solar eclipse. You can build your own radio receiver and participate in the measurement! EclipseMob is offering its first two webinars on Saturday, February 25, 2017. Learn more and register today! Nominate yourself for a NESTA leadership position. Would you or another NESTA colleague be willing to serve our organization in a leadership capacity? We are seeking members in good standing to be nominated for the following eight positions: four Regional Directors, two Directors-at-Large, and two Board Member Representatives to the Executive Committee. Read descriptions of the positions here. Please submit your nomination by February 12, 2017. Check out the resources for the AGU-NESTA Fall 2016 GIFT Workshop in San Francisco, December 12-13, 2016. There are scientific presentations and classroom activities for your personal professional development and use in teaching. Join us at the NSTA Area Conference in Columbus, Ohio, December 1-3, 2016. 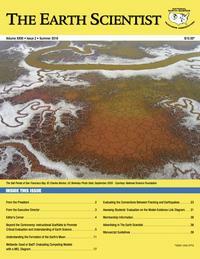 Read, download, and share this Open Access issue of The Earth Scientist with your colleagues. 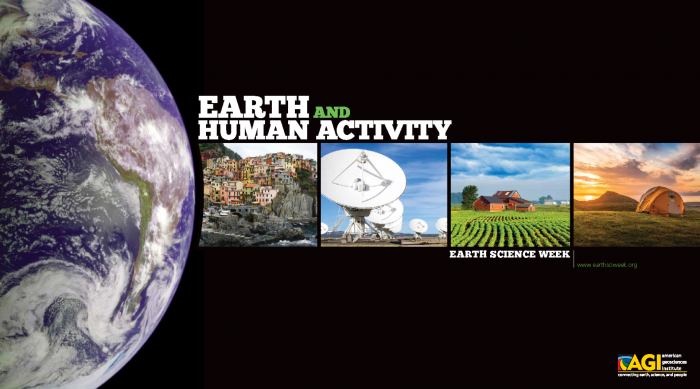 Sponsored by Temple University, it features an instructional tool that helps students weigh and coordinate the connection between evidence and models; activity topics include Earth's moon, wetlands, and fracking. Provenance: AGI used with permission. Celebrate Earth Science Week with your students, October 9 to 15, 2016! Encourage them to apply to the four contests (video, photography, visual arts, & essay); deadline to enter is 5 PM ET, October 14, 2016. Provenance: GSA used with permission. Join us at the Geological Society of America annual meetings in Denver, Colorado, September 25-28, 2016. Apply here to present at the AGU-NESTA Fall 2016 GIFT Workshop. The deadline to apply is August 31, 2016. Register now and join us for the Earth Educator's Rendezvous in Madison, Wisconsin, July 18-22, 2016. Join us at the 5th Annual STEM Forum & Expo in Denver, Colorado, July 27-29, 2016.